Edge Electronics is a long-term client of Axiom Software, working closely with them to ensure operational excellence across their entire business process. With over twenty years of experience utilizing ePDS, Axiom’s flagship ERP system, Edge Electronics has come to rely on Axiom’s expertise and support for a wide variety of business challenges and operational situations. 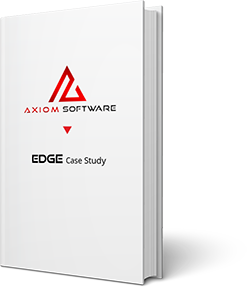 Download this case study and learn how Edge Electronics benefitted from working with Axiom.